“Those who carry things on their heads to sell (hawkers) be it cloth or consumables, we will tax them. How much more people who earn daily,” the Revenue Officer said. 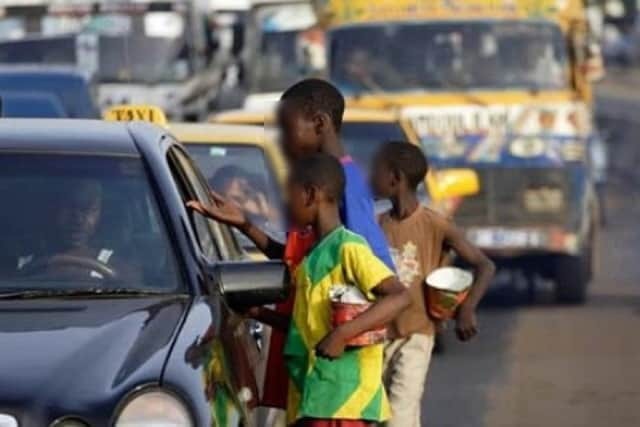 “GRA taxes foreigners in town and by law, the beggars fall within the taxable threshold,” Alhaji Mohammed stressed. Adding that those into alms taking as a form of business should be ready to pay tax on their earnings. Alhaji Yahaya, however, acknowledged the cumbersomeness of the task ahead. He added it was necessary to widen the tax net in order to pluck more revenue. “It is difficult to tax them. But if they get the understanding that they are supposed to pay something to the government based on the income they earn, it will help,” the principal STO revenue officer stated. The officer could not give an estimate of a daily income of the beggars. But he strongly believed their earnings were more than enough to be taxed. 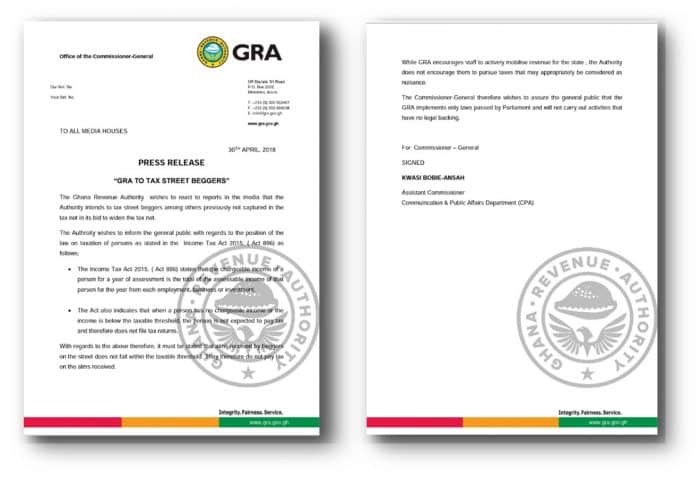 The Ghana Revenue Authority wishes to react to reports in the media that the authority intends to tax street beggars among others previously not captured in the tax net, in its bid to widen the tax net. * The Income Tax Act states that the chargeable income of a person for a year of assessment is the total of the assessable income of that person for the year from each employment, business or investment. * The Act also indicates that when a person has no chargeable income or the income is below the taxable threshold, the person is not expected to pay tax and therefore does not file tax returns. With regards to the above, it must be stated that alms received by beggers on the street does not fall within the taxable threshold. They, therefore, do not pay tax on the alms received. While GRA encourages staff to actively mobilize revenue for the state, the Authority does not encourage them to pursue taxes that may appropriately be considered as nuisance. The Commissioner-General, therefore, wishes to assure the general public that the GRA implements only laws passed by Parliament and will not carry out activities that have no legal backing.